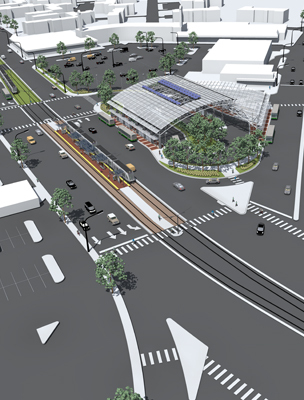 Program:The analysis and design of a new bus transit hub at University Boulevard and New Hampshire Avenue in Langley Park, Prince George's County. 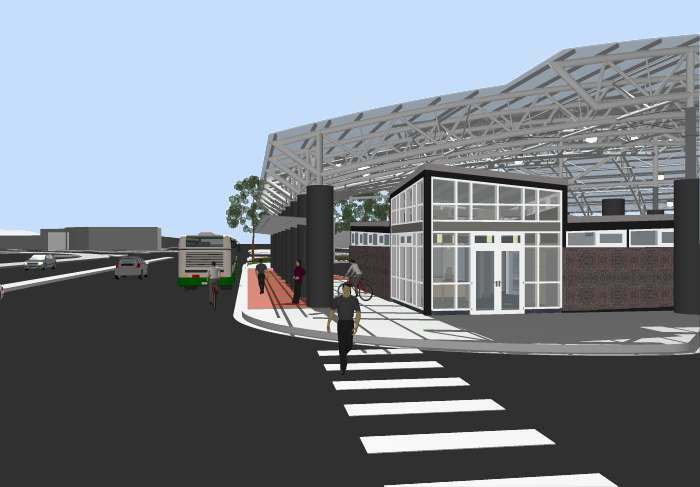 Design Approach: The transit center includes 11 bus bays under two roofs and a small facility building with restrooms and ticket sales, located on the corner of a busy suburban intersection, adjacent to an existing shopping center. Washington Metropolitan Area Transit Authority (WMATA) will operate the facility starting summer, 2016. Buses will access the hub from University Boulevard. 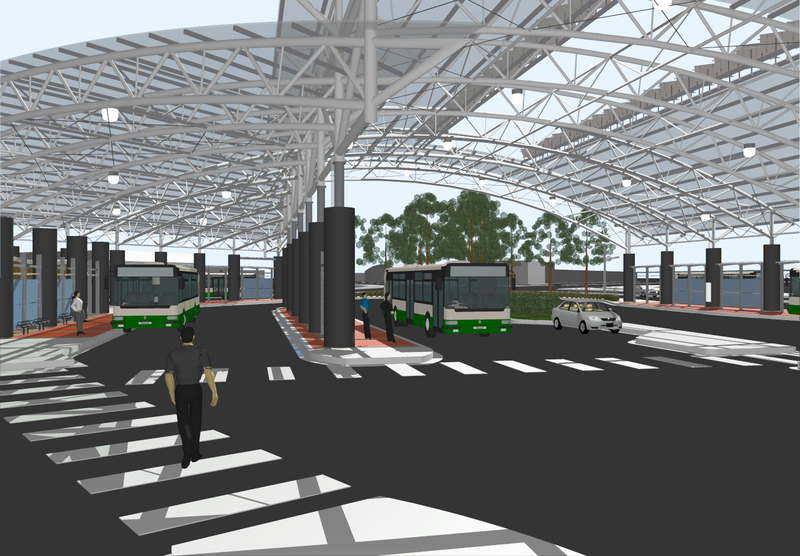 Arched canopies with exposed trusses will provide shelter for waiting riders and provide an attractive landmark at the intersection, while solar panels installed on the roof's structure will provide 20% of the center's electricity. 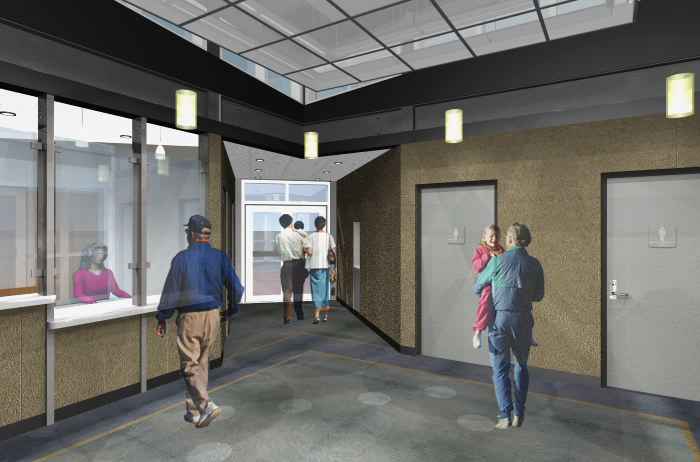 The purpose of the transit center is to relocate a large number of curbside bus stops into one compact facility to concentrate pedestrian activity and ensure safety. Responsibilities: ArchPlan conducted a feasibility analysis, performed master planning services, completed the concept design for the structures, and conducted construction administration. ArchPlan has also participated and presented in numerous stakeholder meetings. ArchPlan is a sub-consultant to Wilson T. Ballard Engineers.